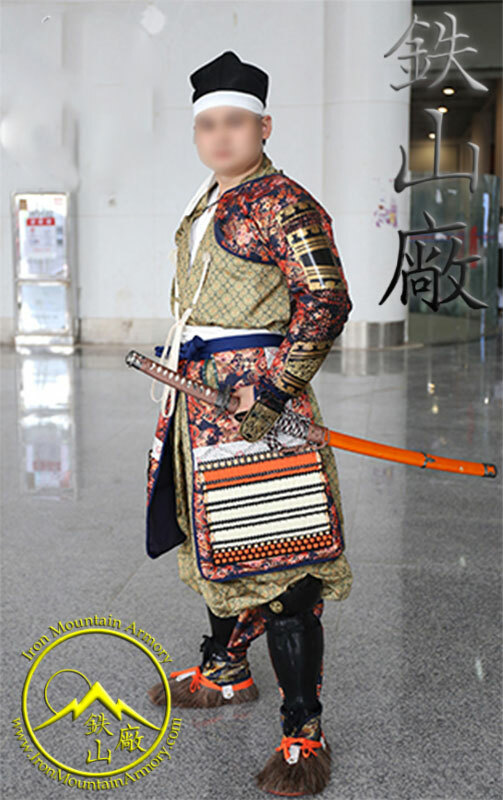 The Yoroi Hitatare was the traditional shirt and pant set that was the most common clothing style worn by Samurai under their armor from the late Heian Period through Sengoku Era of Japan (1050 – 1573 A.D.). 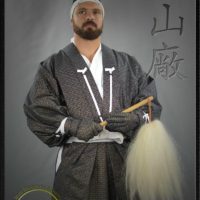 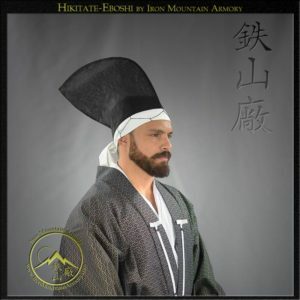 The Yoroi Hitatare is basically another version of the hakama and kimono which are ideal for wearing under armor. 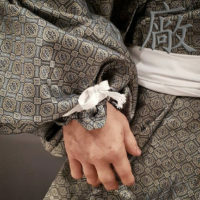 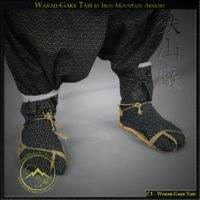 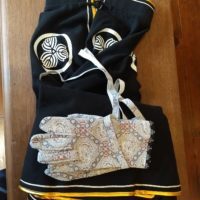 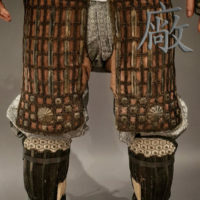 Similar to the Traditional Hitatare, which was more commonly worn without armor, the Yoroi Hitatare features narrower sleeves and legs that taper in at the knee with joined kyahan (leggings) making them Tattsuke-Hakama. 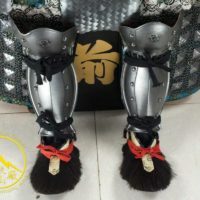 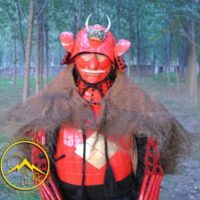 These small changes made the Yoroi Hitatare more comfortable to wear with armor. 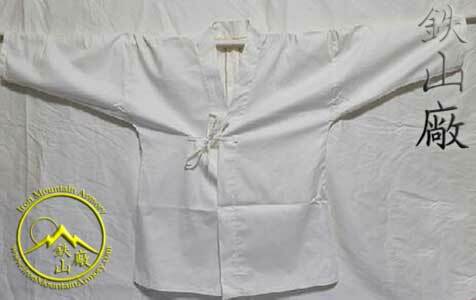 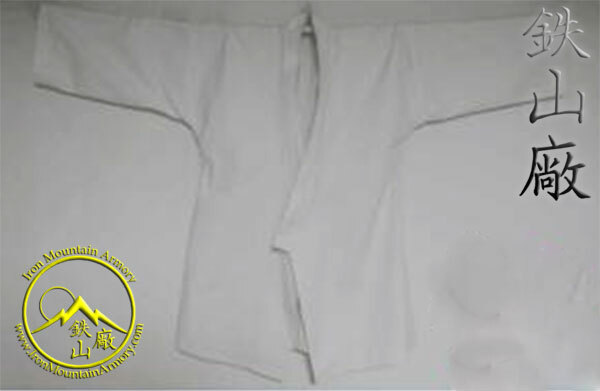 Some samurai would tuck the right sleeve into their pants, so as not to hinder their arm movement when drawing the yumi (samurai long bow). 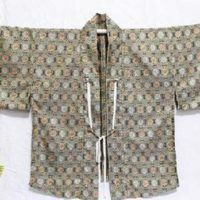 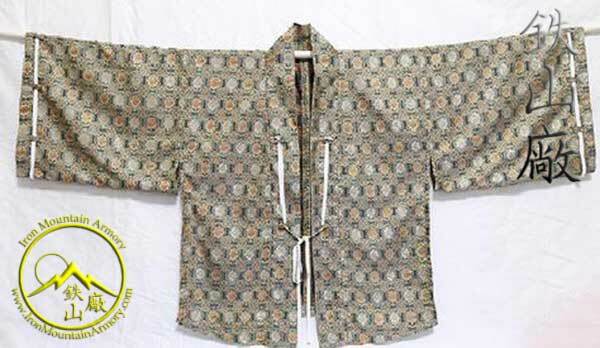 Although less formal, the yoroi hitatare was sometimes worn in an official capacity and in the Edo Era may have been adorned with a kataginu (sleeveless jacket with exaggerated shoulders). 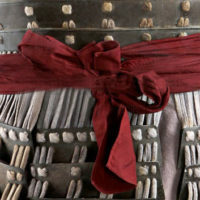 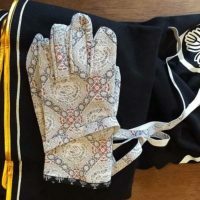 The color of the linen would often denote the rank of the samurai and a brocade was customarily worn only by Daimyo, taisho (generals) or higher ranking retainers. 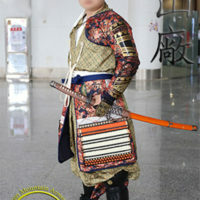 When not wearing armor, samurai would often wear Traditional Hitatare which differ slightly from the Yoroi Hitatare. 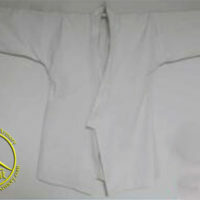 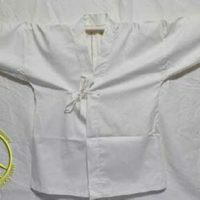 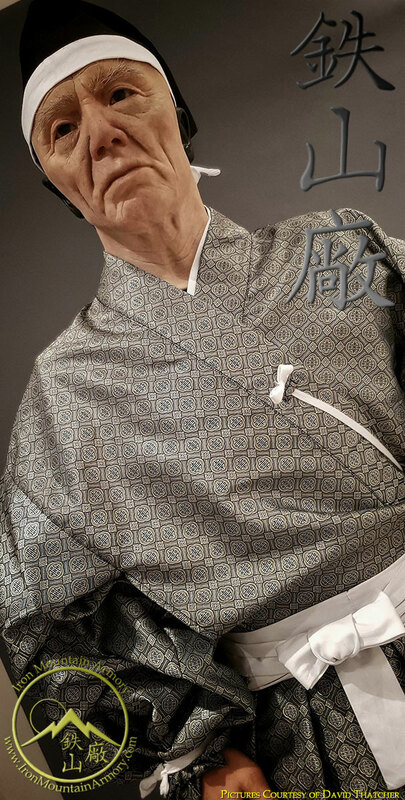 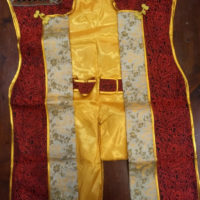 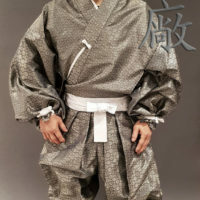 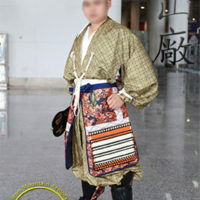 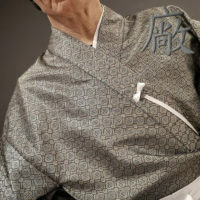 Our Yoroi Hitatare is a 3 part set, which includes a narrow sleeved yukata kimono, tattsuke-bakama and cotton shitagi (undershirt). 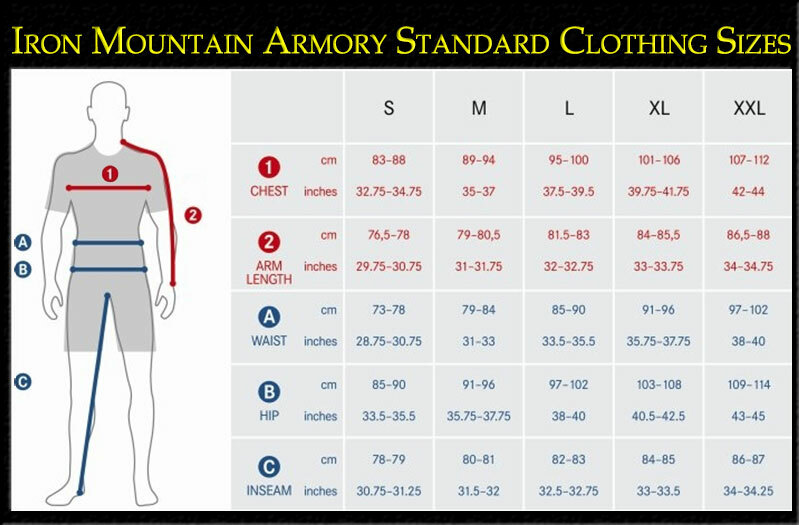 Optional materials and sizing is available. 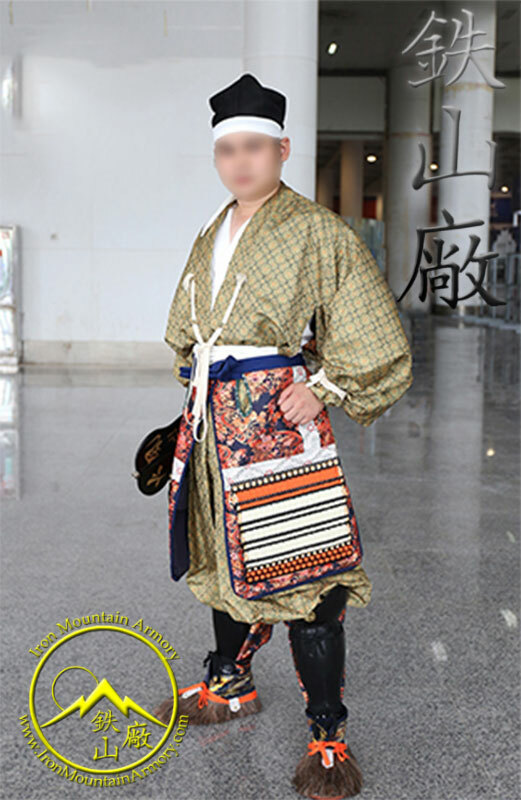 Optional materials are Japanese linen or brocade. 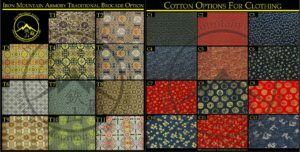 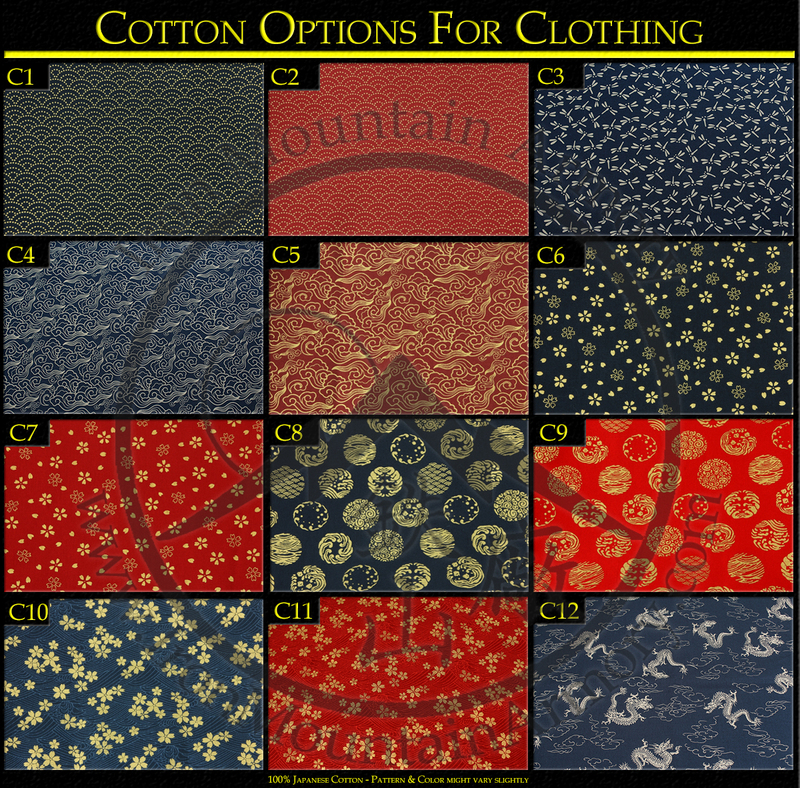 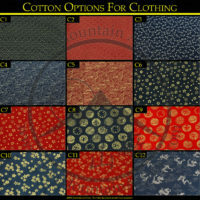 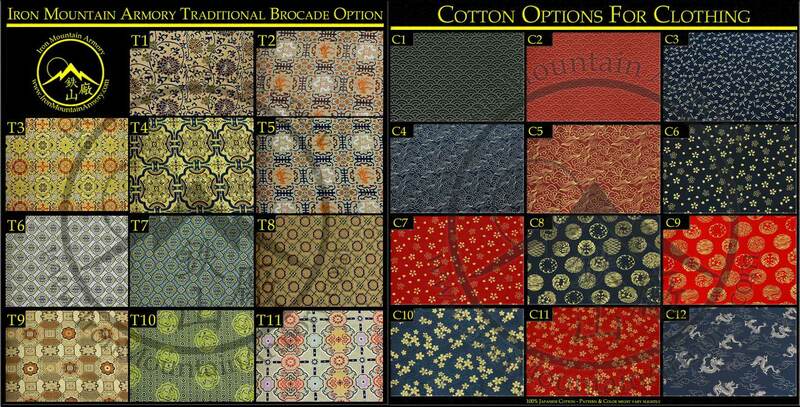 100% silk is available upon request for additional cost. 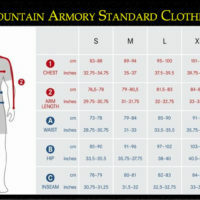 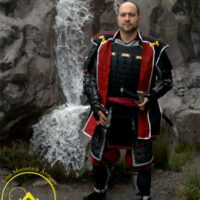 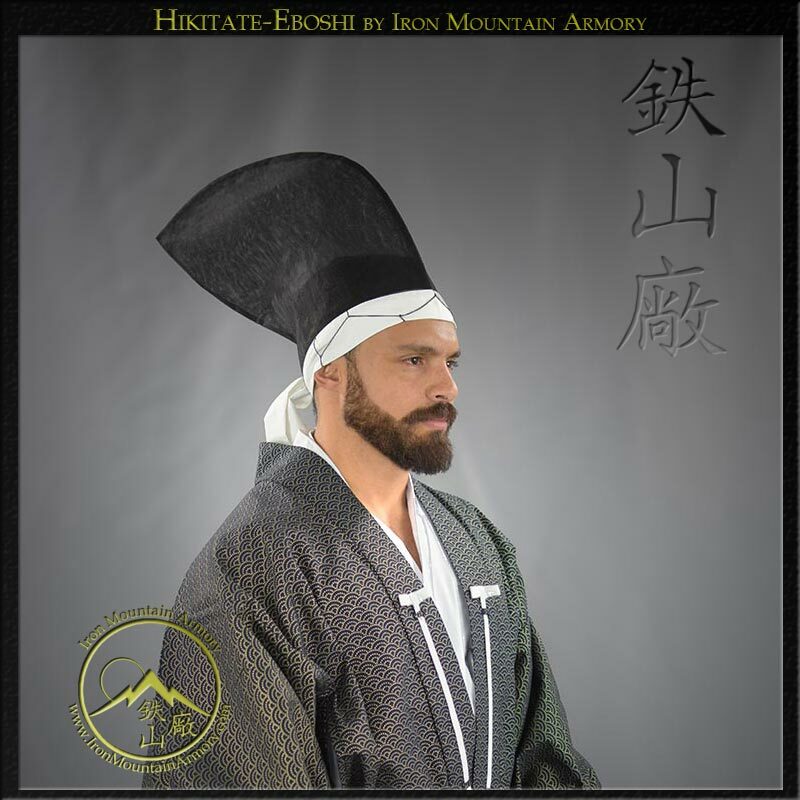 This yoroi hitatare set is handmade by Iron Mountain Armory at the time of your order. 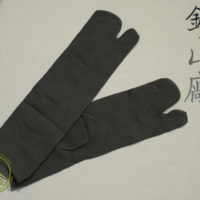 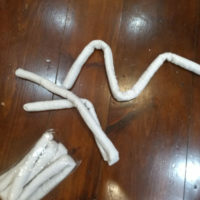 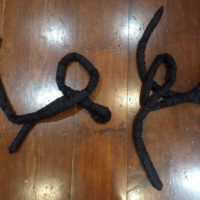 Please allow 2 to 3 weeks for crafting of this item.